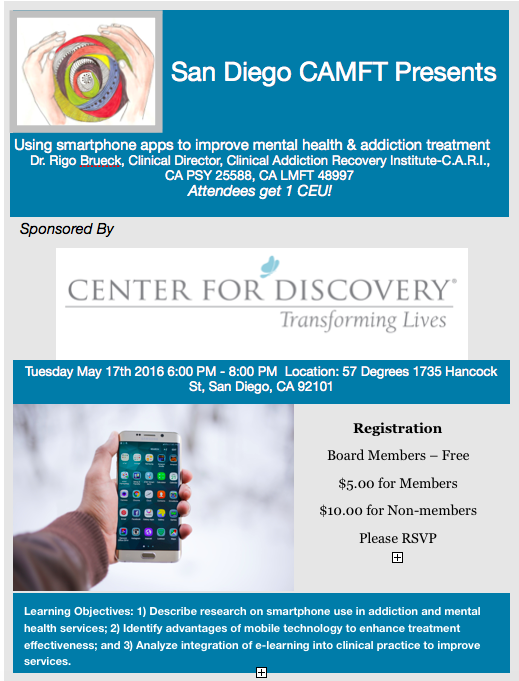 Join Dr. Rigo Brueck and learn how the use of your phone can assist in the world of mental health and addictions. Using technology in healthcare is becoming more and more popular. How are you adding it into your work? Obtain education, ideas, 1 hour CEU, and light snacks. We are pleased to highlight our distinguished sponsors and their commitment in supporting our San Diego CAMFT Chapter!